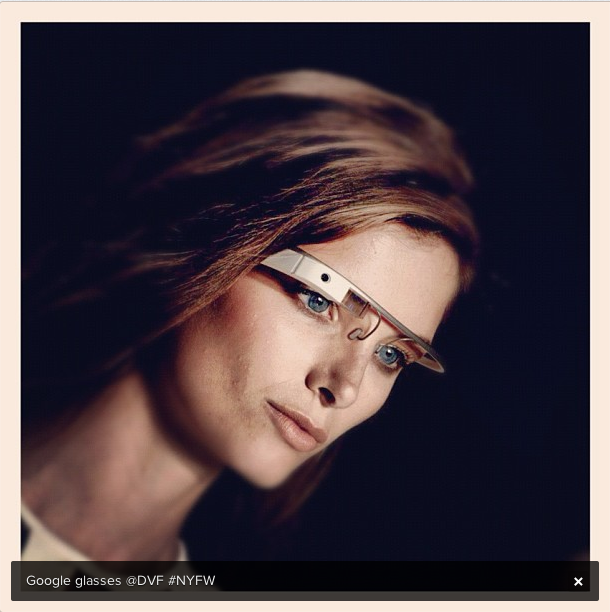 Move over mobile, here comes Glass? New York Fashion Week, just ended, saw a merge of fashion and technology with models sporting Google Glass eyewear on the runway for Diane von Furstenberg. The #DVFthroughGlass project/stunt caught the attention of both tech community and the fashion world, and will result in a short film of the runway show as captured by the model’s augmented reality glasses. Is this the must have accesssory for SS13, or at least the near future, and how will that affect museums and mediation? Social media was also playing a central part during NYFW, with Fashion’s Night Out (a night of ‘shopping and celebration’) offering lots of ways to take part via Twitter, Instagram, Tumblr etc., in order to win prizes (and create hype and spend money, of course).